I was thrilled when Kim and Hong asked me to join a group of guest bloggers who would post on their behalf so that they could concentrate on their wedding preparations. And between you and me, I am sure that their wedding celebration willbe filled with tons of creativity and delicious eats—I can’t wait to see the pictures! 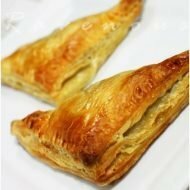 When they told me that my post would be up around the 4th of July, I immediately started brainstorming iconic dishes that would be fitting for Independence Day. But somewhere in between visions of BBQ and watermelon slices, I found myself wanting to create something that could be a show stopper to any party but didn’t require a lot of fuss. 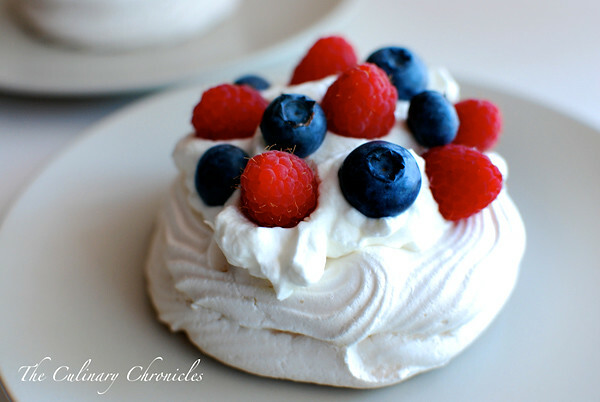 Pavlovas with fresh raspberries and blueberries fit the bill perfectly—red, white, and blue! 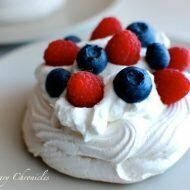 Pavlovas were created in honor of the famous Russian ballerina, Anna Pavlova. One bite into the delicate dessert and you’ll understand how it was appropriately named. The dessert consists of a light meringue shell that has a crisp exteriorand tender interior, which just melts in your mouth. The shells are typically topped with fresh whipped cream and berriesand can be filled with a myriad of things. I opted to use macerated raspberries that had been soaked with Grande Marnier—yum! Pavlovas demonstrate a wonderful play of textures. There is the crunch from the meringue, the smoothness from thewhipped cream, and slight “pops” with each bite of the fresh berries. Absolutely delicious and quite fancy-schmancy!And the best thing? The meringue shells can be made days in advance, which makes them a perfect dessert option forentertaining. Your guests will be thoroughly impressed—guaranteed! With that, dear Friends, I’d like to wish you all a HAPPY 4th of JULY! And to Kim and Hong, THANK YOU for letting me guest post! Wishing you much love, exciting Foodventures and Trăm năm hạnh phúc! Prepare Meringue Shells: Preheat oven to 250 degrees F. Cover a large baking sheet with parchment paper. On the parchment, draw (8) 4-inch circles. 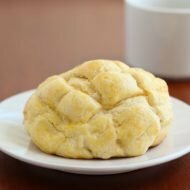 Combine sugar and cornstarch together. In a stand mixer with the balloon whisk attachment, whip the egg whites, cream of tartar and salt. Start speed on low and slowly increase to medium. Continue whipping until the egg whites becomes foamy, about 2 or 3 minutes. Slowly add in the sugar-cornstarch. Once the sugar cornstarch has been incorporated, add in the vanilla extract and whisk until the meringue is glossy and stiff peaks have formed, about 5 minutes. Fill the meringue into a large piping bag that has been fitted with your choice of large tip. Using the circles drawn on the parchment as a guide, pipe 8 disks. On each disk, pipe a ring on top of the edge of the second layer. This will create a cavity for your filling. Place the baking sheet in the oven and drop the temperature down to 225 degrees F. Bake for 50-60 minutes or until the meringues are crisp and dry to the touch on the outside. The shells should still be white in color. Turn off the heat and prop the oven door open with a wooden spoon. Allow shells to remain in the oven until fully cooled. Meringues can be stored in airtight containers at room temperature for 4-5 days. Prepare Macerated Raspberries: Combine all ingredients in a bowl. Cover with plastic wrap and refrigerate for a minimum of 2-3 hours before serving. Prepare Vanilla Bean Whipped Cream: Using a stand mixer fitted with the balloon whisk attachment, whip the chilled heavy cream on high until it just holds stiff peaks. Slowly sprinkle in the sugar and continue whisking until you reach a thick consistency. Add in the vanilla bean seeds and whip until combined. To Assemble: Place one meringue shell on a plate. Fill with 2 or 3 heaping spoonfuls of macerated raspberries. Top with a mound of whipped cream and fresh berries. Serve immediately. 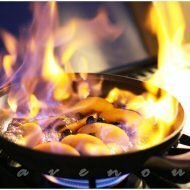 Those look beautiful AND delicious! An excellent choice for an elegant July 4th celebration. Thanks for sharing! Adora: These look so good! They would look great with just red also for July the first (Canada Day). Thank you also for introducing me to this new site. Happy 4th of July! They look delicious. Thank you for sharing! Charlie: I was trying to think of something to make for Canada Day, that’s a good idea. Just take out the blueberries I guess? Delicious and patriotic dessert rolled up into one. 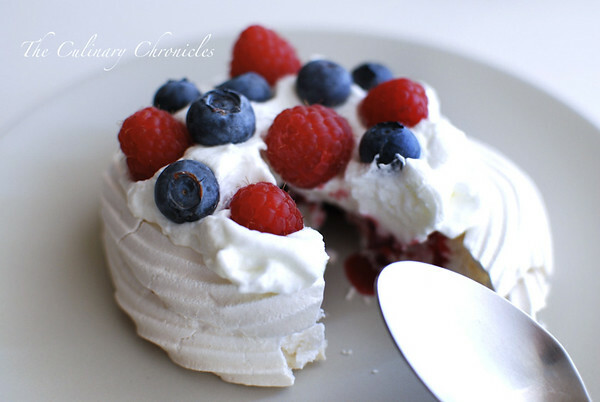 I love the crisp of meringue and the addition of berries adds a new dimension. Lovely recipe, Nam!